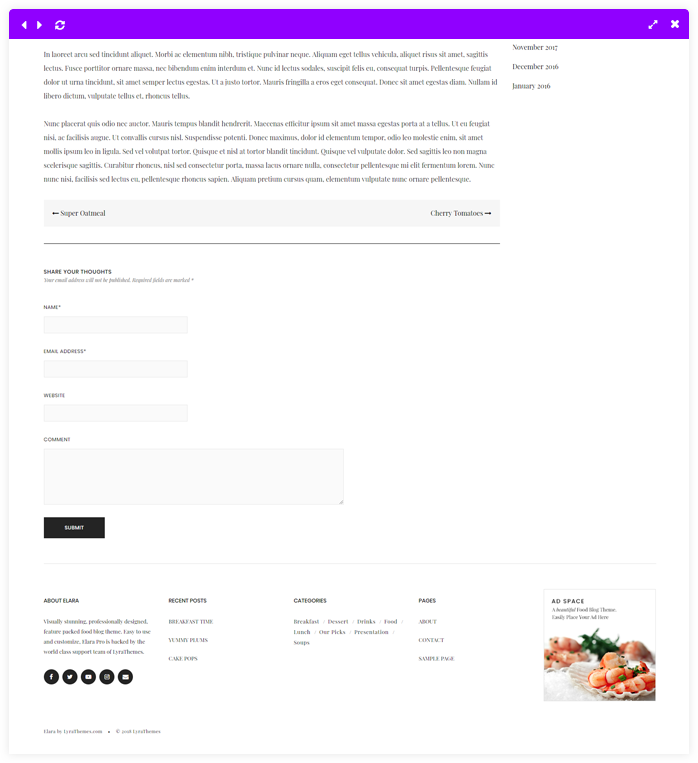 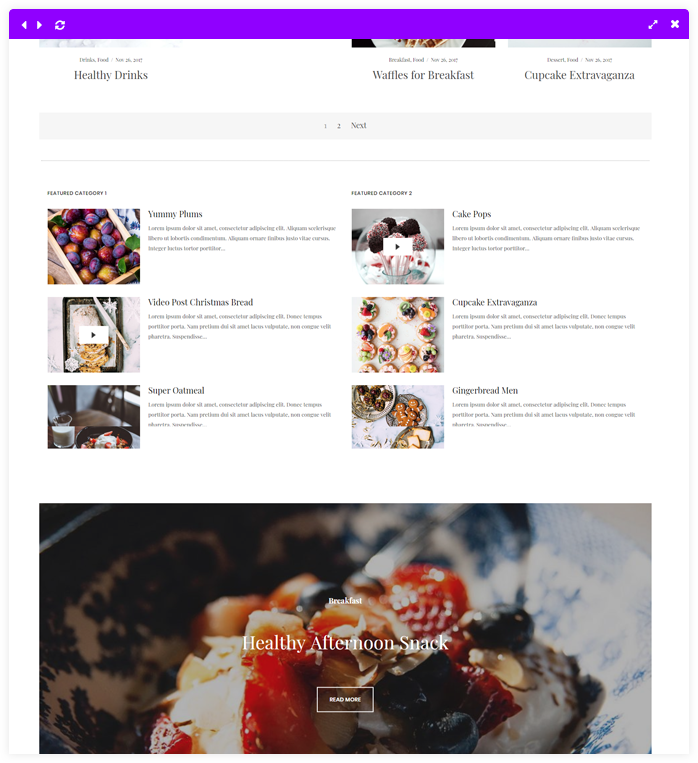 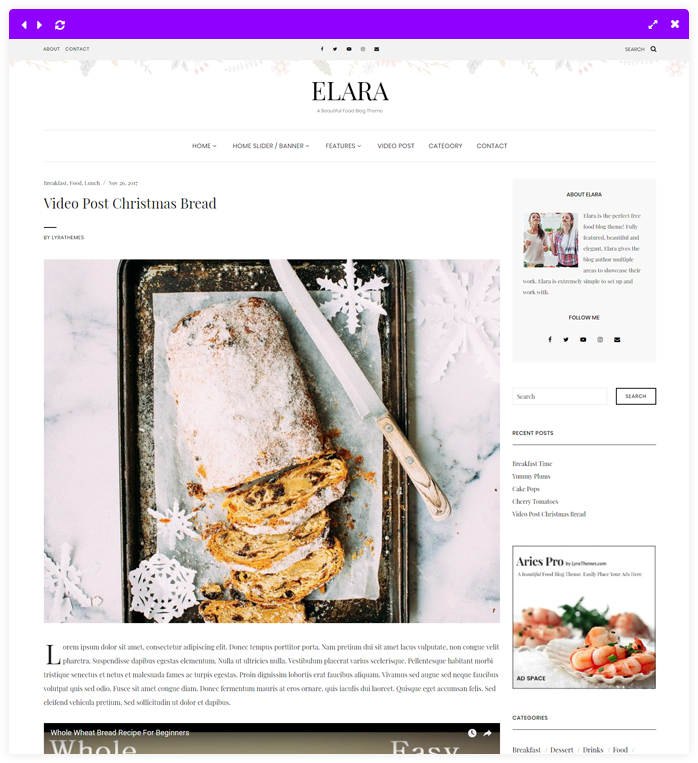 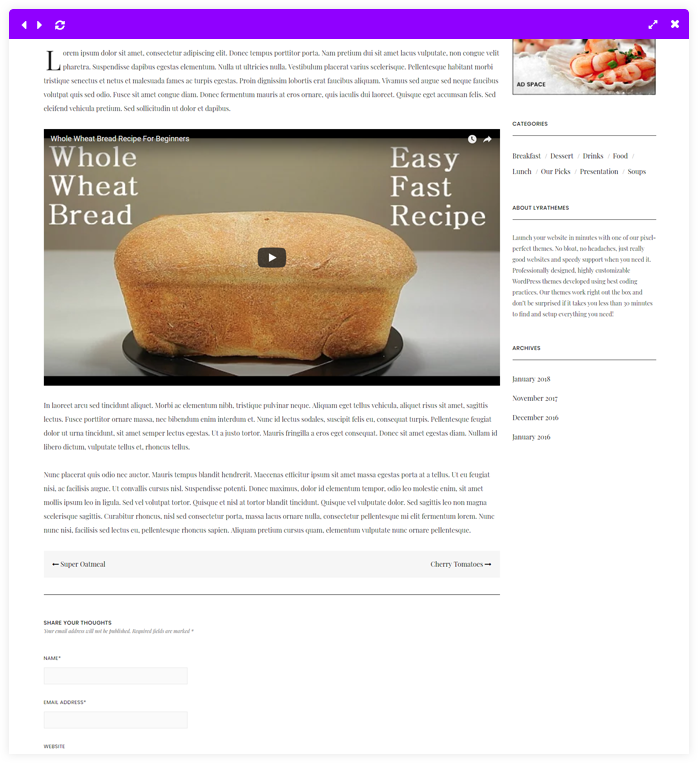 Elara is another simple, elegant, FREE food blog theme. 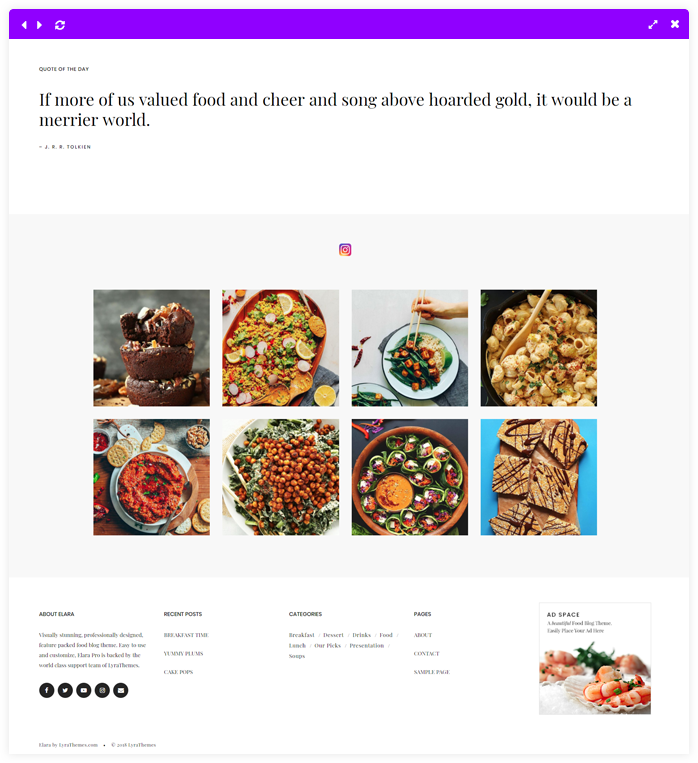 It boasts beautiful typography that compliments the stunning featured images. 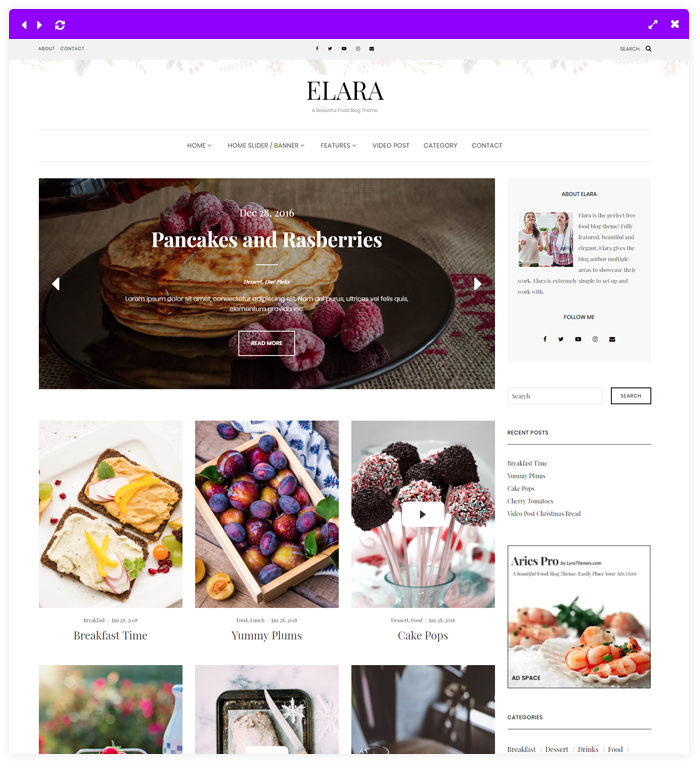 Intuitive settings and customization options give you full control over your blog, making Elara extremely easy to set up. 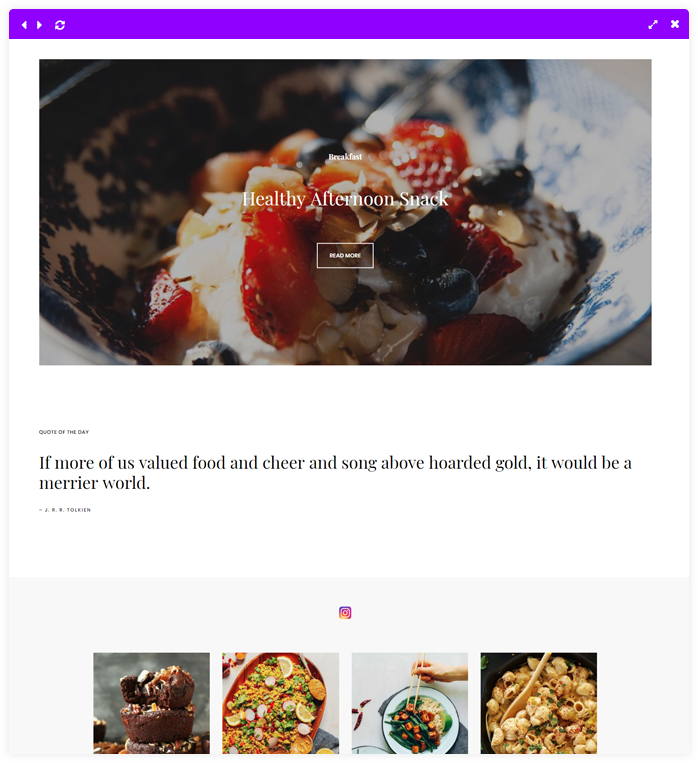 If you prefer to take your photos in portrait mode, then this is the ultimate theme for you. 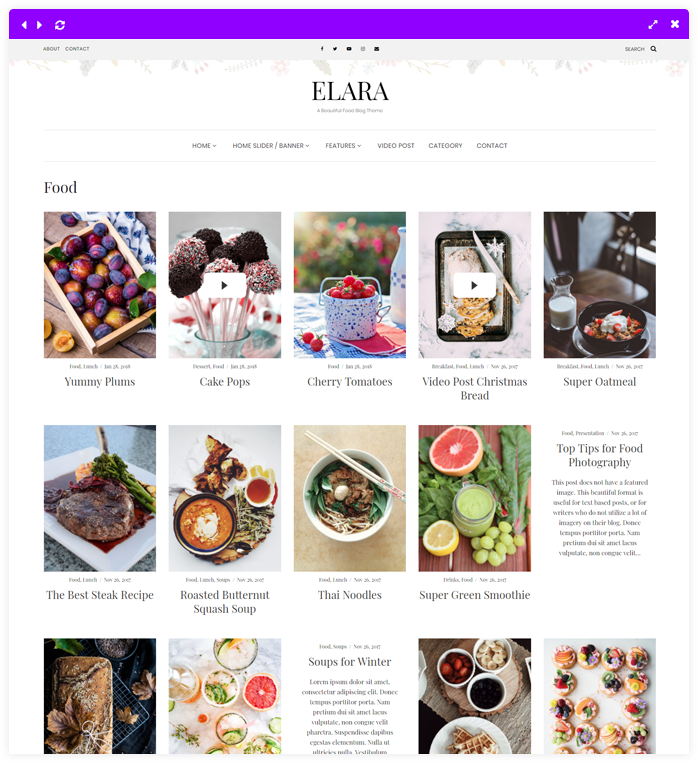 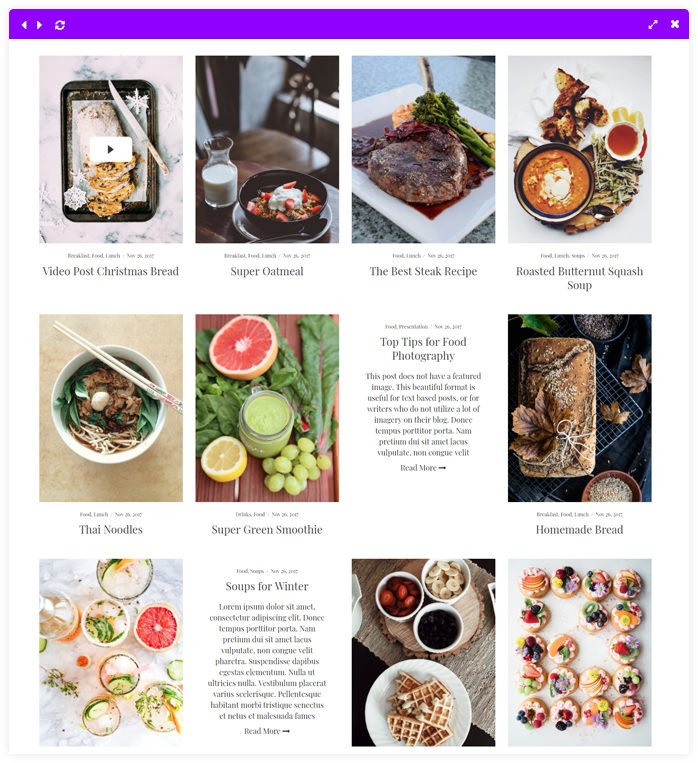 Specifically designed for taller images, Elara gives you several ways to display your content allowing you to showcase your creativity and flaunt your recipes and posts. 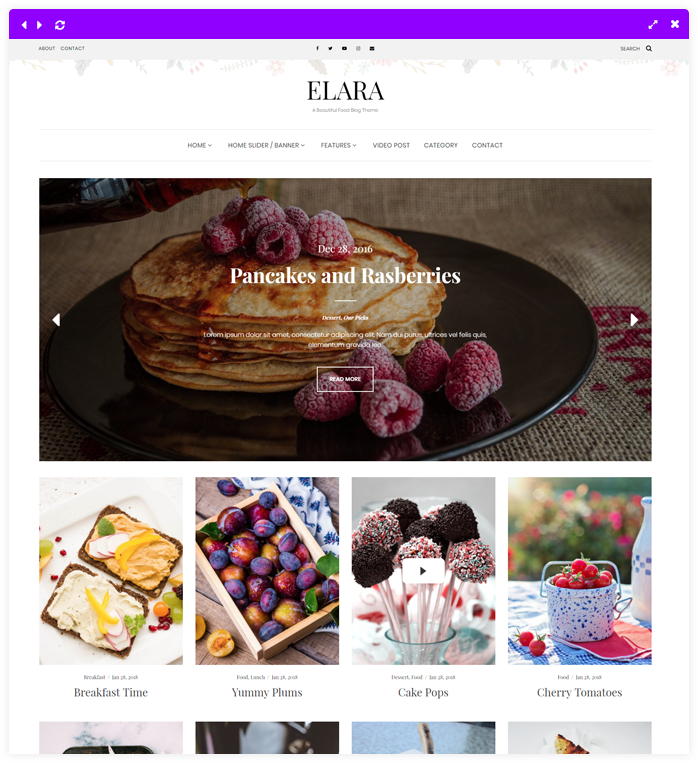 Upgrade to Elara Pro for these awesome features!